Content editors love the flexibility of a web-based CMS. Membership management loves knowing their member logins are up-to-date. The National Association of Elementary School Principals relies on NetForum software to manage its sixteen thousand members. While that software works well for membership management, the association was not as happy with their commercial content management software. It had been years since a redesign, and the associations web staff did not relish the cost or inflexibility of working with the existing CMS. Because of its flexibility and extensibility, Drupal was a much better fit. 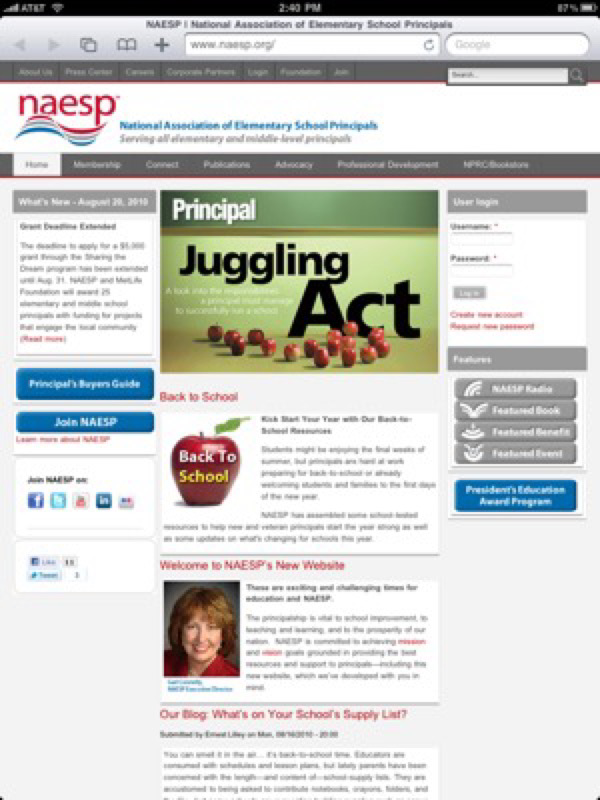 And with Drupals open-source price, NAESP stood to save on licensing costs. Initial launch went quite quickly, with el-studio.com working iteratively with staff to bring more features online.